KUWAIT CITY, Jan 28: VIVA, Kuwait’s fastest-growing and most developed telecom operator, announced the financial results for the year ended on 31 December 2016; whereby VIVA’s revenue grew to reach KWD 279 million; whereas the net profit in 2016 reached KWD 40 million. VIVA achieved these results due to the superior customer experience, high quality of services, innovative promotions and packages offered to its customers to meet their needs and expectations, inspired by our customers’ confidence which motivates us to provide the best services with the highest possible quality. 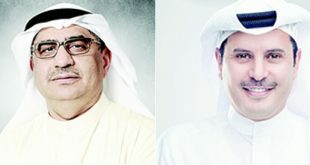 He added that “VIVA has demonstrated its ability to achieve good level of profit amidst the current hard economic conditions and strong competition witnessed in the year 2016 which resulted from the decline in telecom tariffs thus pressurizing the profit margin of all telecom companies in Kuwait. VIVA has enhanced shareholders’ equity base to stand at KWD 133 million at the end of 2016 with a growth rate of 43% compared to 2015. The Board of Directors has recommended distributing cash dividends of 10 fils among the shareholders representing 10 percent of the nominal share value for the year ended 2016 subject to the approval of the Ordinary General Assembly of the company. On the other hand, VIVA managed to achieve net profit of KWD 40 million (earnings per share of 80 fils) during the FY 2016 compared to net profit of KWD 43 million (earnings per share of 86 fils) during FY 2015. These results achieved by VIVA during 2016 reflect the efficient business strategy adopted by the company to achieve outstanding results in-spite of the increasing competitiveness. Also, VIVA managed to achieve positive earnings for its shareholders as a result of the commitment to elevate the quality of customer service and improving the operational efficiency”. On his part, Eng. Salman bin Abdulaziz Al Badran , VIVA’s CEO said that “Results of 2016 came in line with VIVA goals and ongoing ambitions to achieve an increase in its operational revenues and strengthen its leadership in the telecom market. 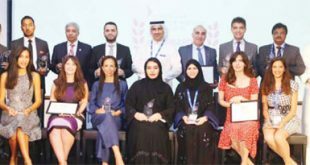 It is noteworthy to mention that, VIVA has won many awards during 2016 including the “Best Contact Centre Experience”, “Best Recruitment Program” from Insight Middle East, and was recently named the “Leading Corporate for Investor Relations in Kuwait”, thanks to the company’s persistent efforts and the team work dedication in customer service in addition to owning a professional high-quality recruitment program, in addition to the highest professional standards in the process of communicating with our shareholders and the investment community. Also, VIVA has won “Business Innovation in Risk Management” award for 2016 during the annual conference for excellence in Revenue Assurance and Fraud Management (RAFM). 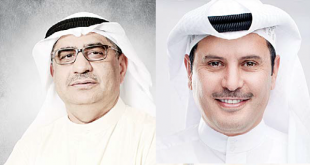 Al Badran added that “We have exerted great efforts in 2016 through our integrated team work to establish a solid and strong base that insures the company’s continuing successes in light of the strong competition in the Kuwaiti telecom market. VIVA has kept the revenues increasing and achieved good levels of profitability which improved the company’s financial and operational efficiency. As a result, VIVA recorded revenues of KWD 279 million during FY 2016 and achieved net profit of KWD 40 million (earnings per share of 80 fils) in 2016, whereas the operating profit has reached KWD 44 million during the same year. On the other hand, VIVA customer base has reached 2.4 million at the end of December 2016. On his part, Mr. Abdulaziz AlQatie, VIVA’s CFO, said that “During 2016, VIVA’s financial results reflected its ability to compete and achieve growth in revenues, and maintain its position as the second largest telecom operator in the Kuwaiti market in term of revenues in the telecom sector. The company managed to decrease its leverage ratio due to its conservative financial policy to reach 0.35x at the end of 2016 as compared to 0.78x recorded at end of 2015. On the other hand, VIVA managed to sustain healthy profitability ratios in light of intense competition where Return On Assets (ROA) has reached 15% while return on shareholders’ equity (ROE) has reached 30% in 2016. 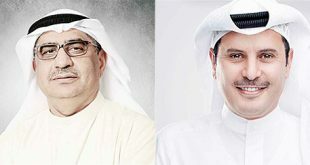 “We will continue our hard work in implementing our strategy to maintain our competitive edge and achieve further growth and success in the Kuwaiti telecom market through offering innovative products and services in line with the latest technology to meet our customers’ needs” he added.